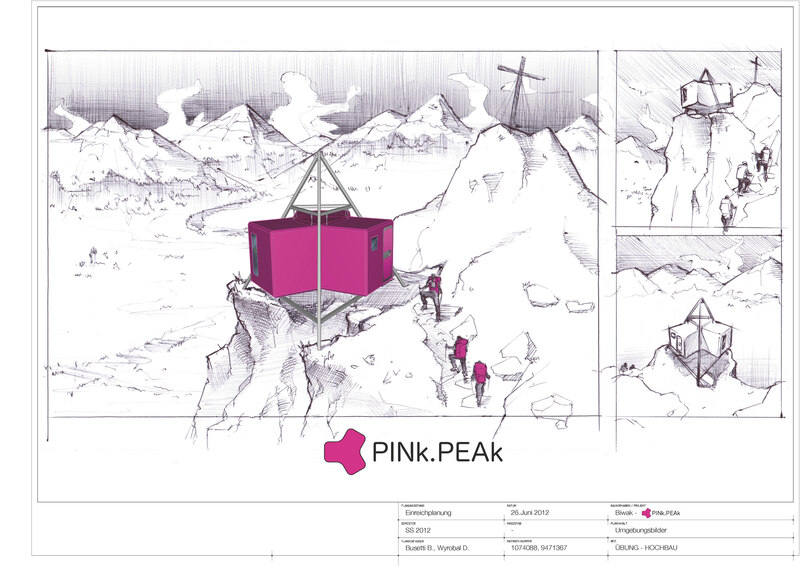 PINk.PEAk is an Industrial Design project made in civil engineering. 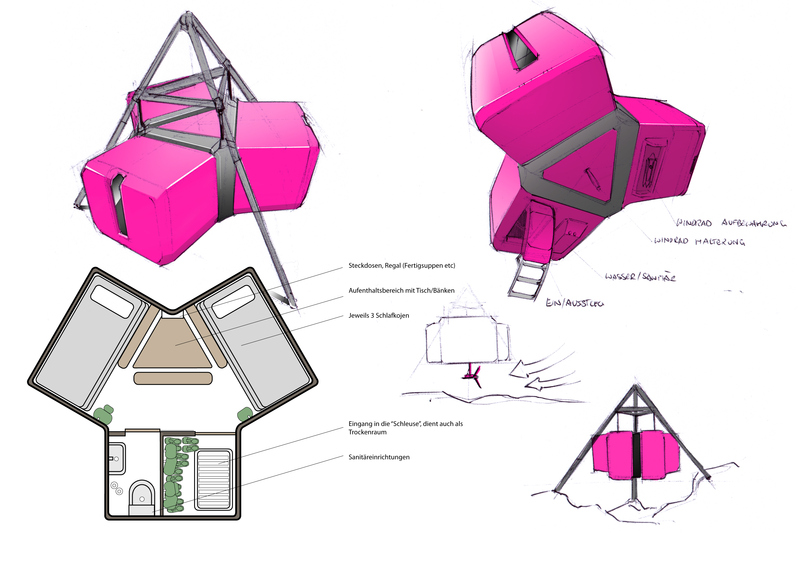 The task was to design a biouvac for 4-6 people in 2000m above sea level in the alps. There is no good cable lift and no possibility to access the building ground by car. The only way to transport the preconstructed parts, is the helicopter. 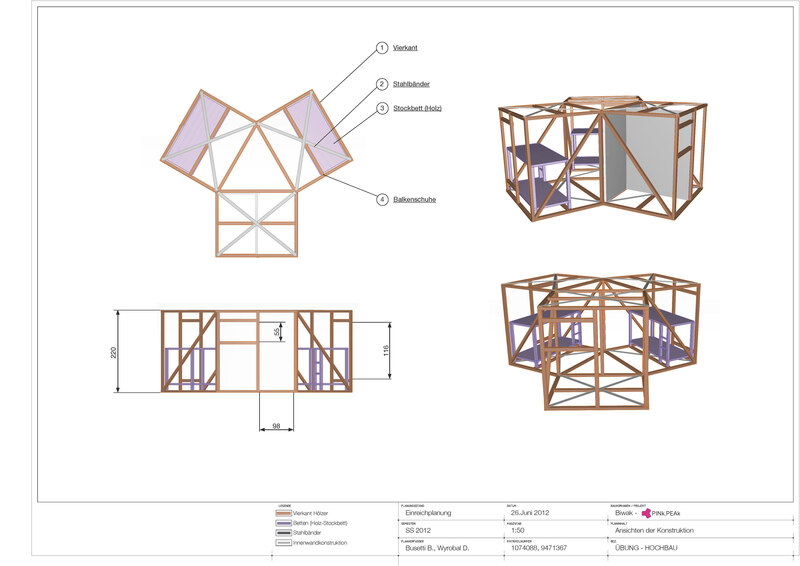 This is why we tried to design a light structure for the main cabin out of wood and a metal tripod rack. 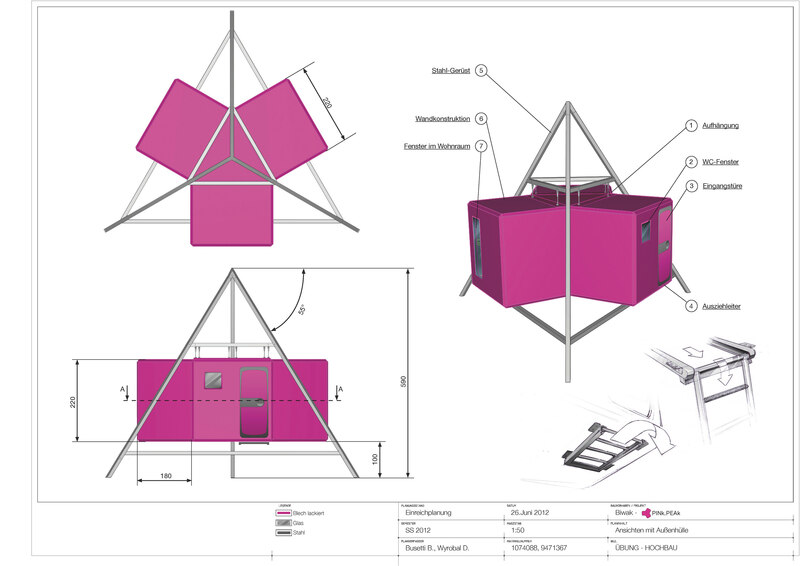 The cabin is actually "hanging" on the tripod via metal ropes because wanted to transfer the feeling of climbing and hanging to the bivouac. We took the color pink, as a signal color in the nature so that the alpinists quickly find it. The cabin is divided into 3 rooms. 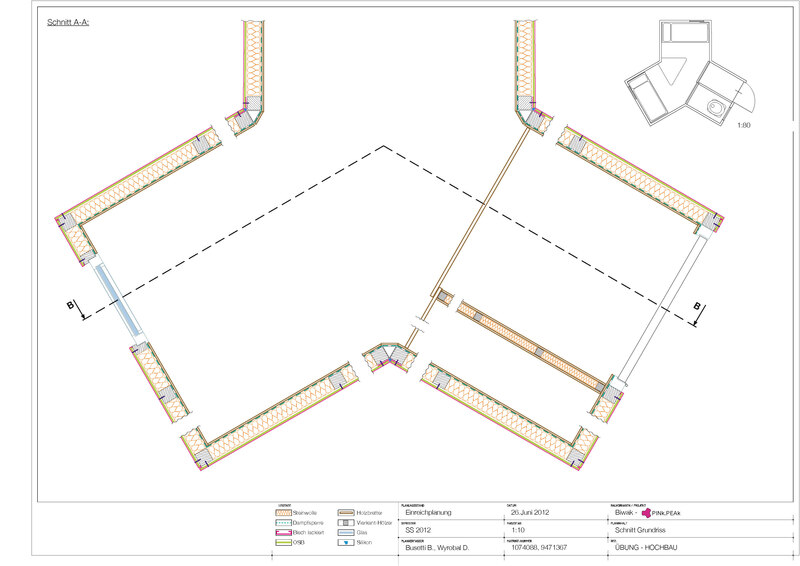 The entrance is constructed as thermal bridge but also to stow backpacks and shoes. 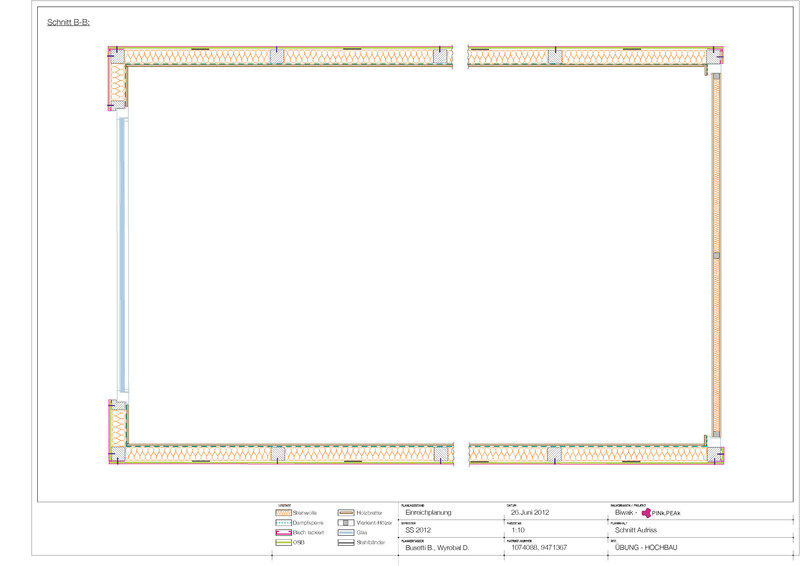 The main room consists of 4 or 6 beds and a table with stools. You can access the bog in the "bathroom". Every front side has a small window.